In the midst of the Kejimkujik National Park after touring Mill Falls while in Nova Scotia travel writers on the Nova Scotia joyride tour had a fun dining experience at the wonderful Wilder. 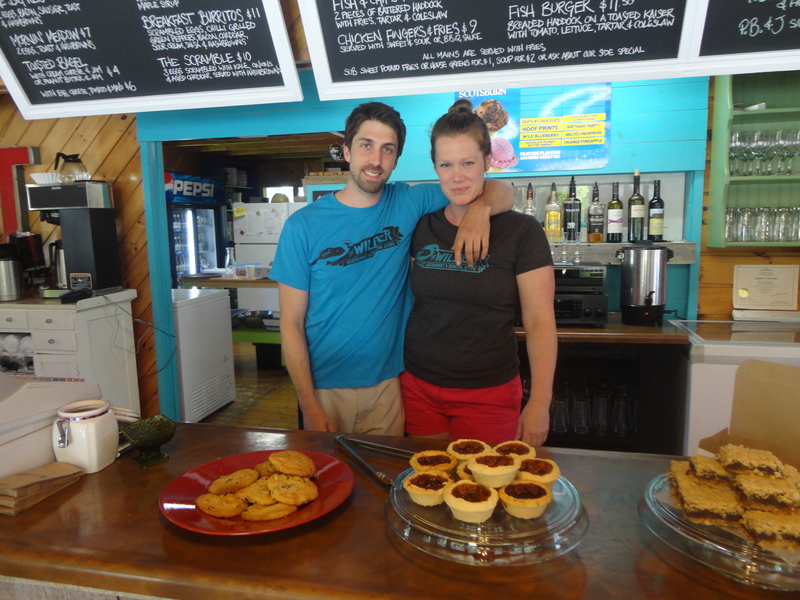 Owned by Shannon Mcdougall and Lekas Bell, this young couple tied their talents together and became entrepreneurs in the woodlands of Keji Park where they offering up great cuisine. I have been so impressed by the pioneering spirit of those in Nova Scotia where so many young people I met just forged ahead with carefully crafted business plans and created their own success. Truly inspiring is what they are! While expecting (and I would have been happy with) a lumber jack or snack bar type of dining experience, I was excited to see cultural icons on the menu like a Portabella burger and I could not pass up the pecan pie tart. The Wilder is a great place for good food whether just driving through or tourists like us that were getting ready to take part in the adventure experiences the park had to offer. We had a couple hikers, bikers and I was part of a canoe duo that traveled down the beautiful Mercey River fortified with food from the Wilder. For more information about the Wilder, check out their Facebook Page at https://www.facebook.com/TheWilderRestaurantGeneralStore/info. Lekas Bell and Shannon Mcdougall of Wilders.